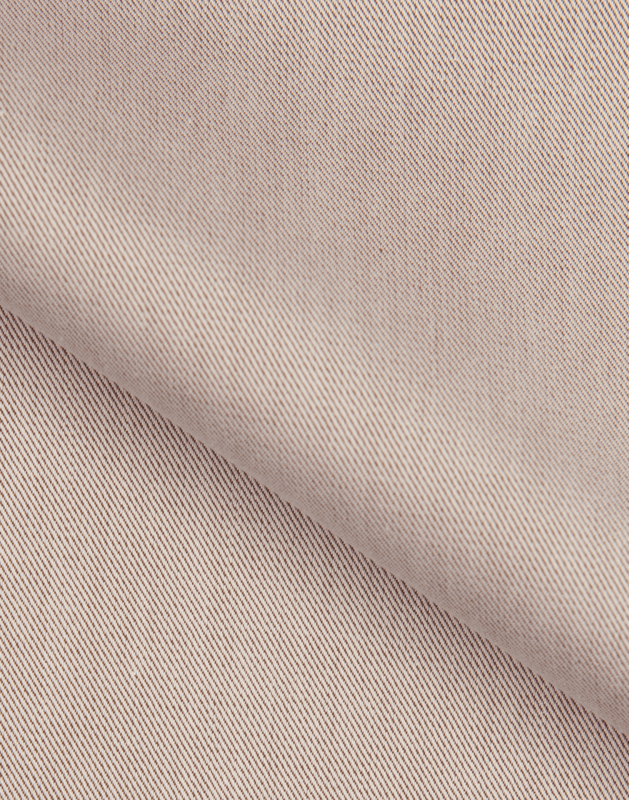 A classic twill quality composed of two ply yarn which provides an improved resistance to creasing while also giving it a wonderful lustre and softness. 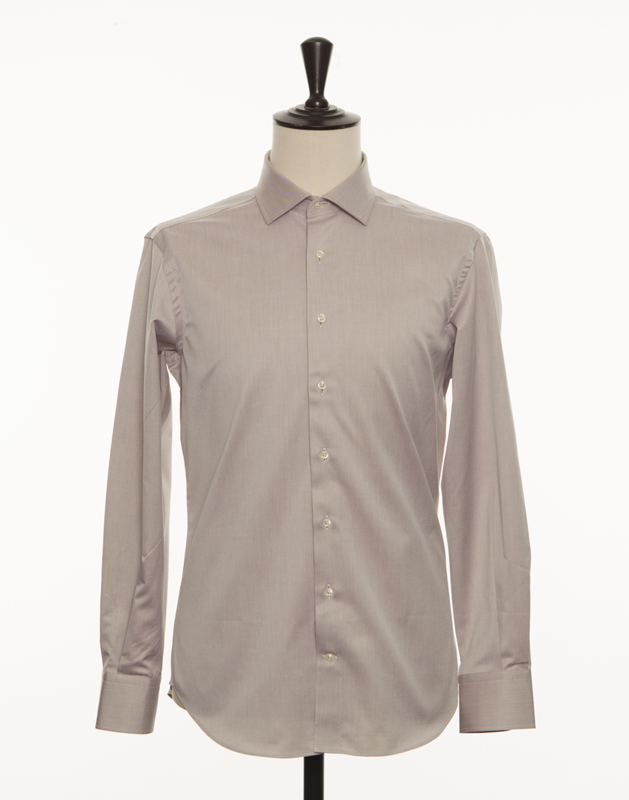 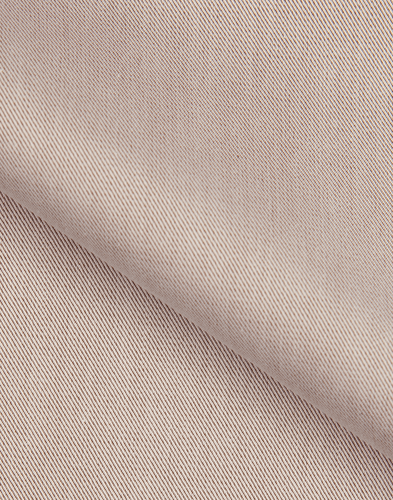 This fabric's beige colour is a subtle twist to more conventional business shirts in white and blue. 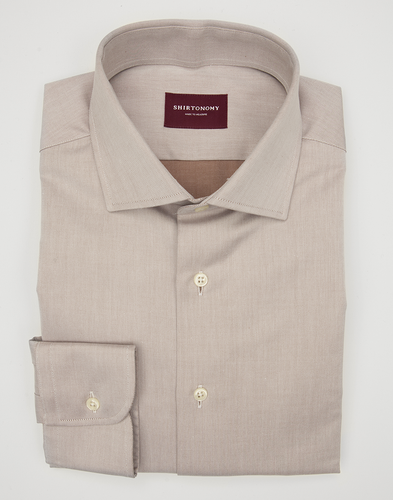 Combine it with your choice of spread collar and subtle tie. The fabric is woven in Italy.